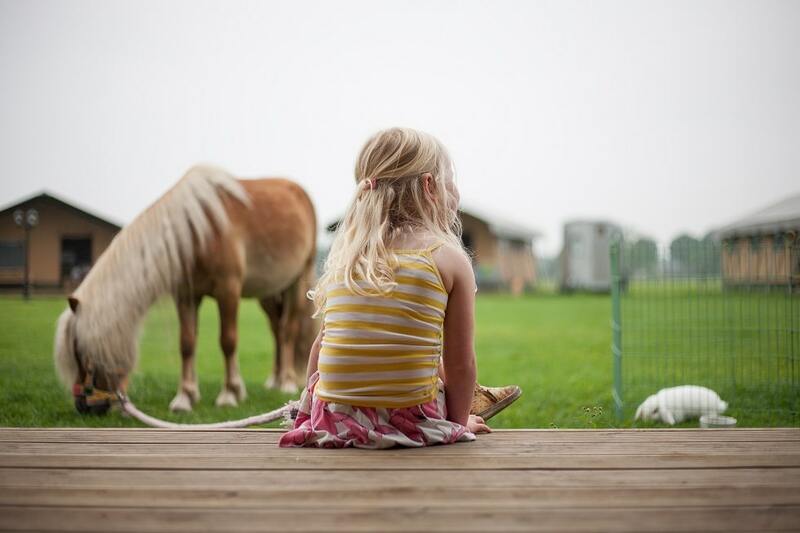 Beekse Bergen is a perfect holiday destination for families with young children. 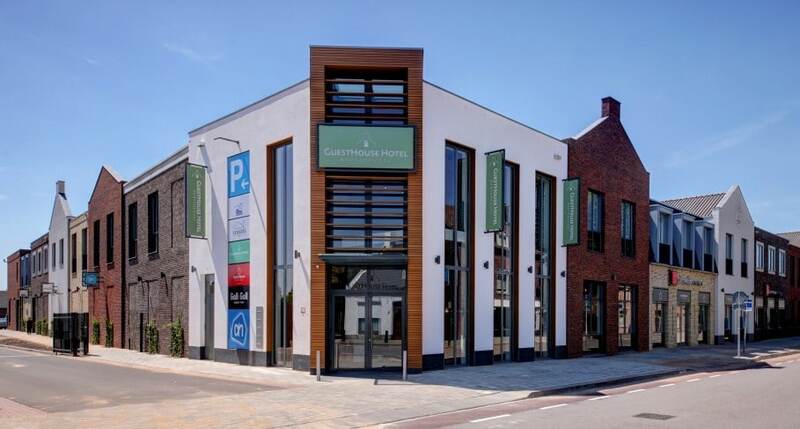 It is a really unique holiday park, set in beautiful woodland in the Brabant region of southern Holland. 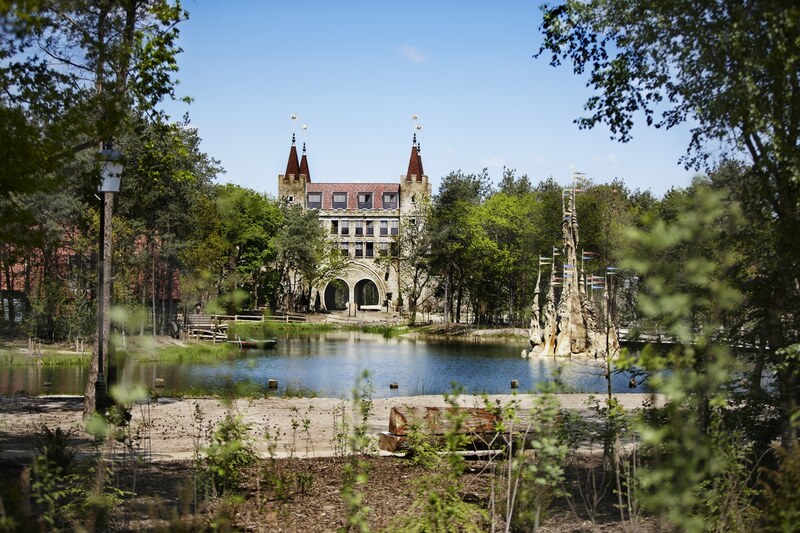 What makes it unique is not only its setting in unspoilt nature with a large swimming lake, sandy lake beach, indoor jungle pool and the fantastic and extensive toddler friendly “Speelland” play area, but the fact that it is adjoining the biggest safari park in the Netherlands. You can drive or walk around the safari park or go on the park train! See all the animals in their natural surroundings. So here you can really have it all; nature, beaches, safari park and a huge play zone. 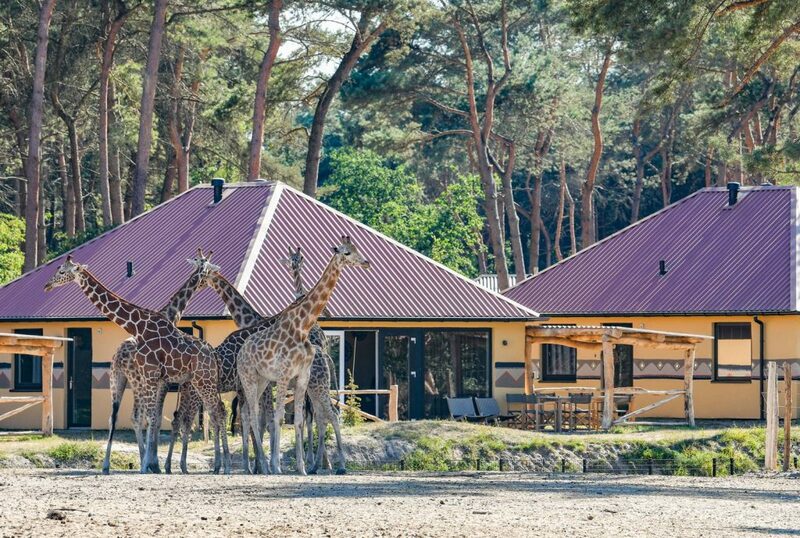 In keeping with its safari park setting Beekse Bergen holiday park has an Africa theme which can be seen throughout; from its animal print painted accommodations to its African lodge restaurant and bar area. Beekse Bergen is a large park with little play areas dotted throughout, plenty of trees to hide behind and lots of sandy areas to play on! Its sandy lake beach can be used for relaxing or playing or simply watching the boat and taking in the nature! There is also a little train which transports you around the park and to and from the central pool and lake area. Riding around on this train is bound to be one of the highlights for toddlers!! The indoor pool area has a separate toddler pool with its own little slide and a monkey and crocodile to splash about with! There is also a larger slide for slightly older children. Looking out onto the lake, you really have the best of both worlds here. 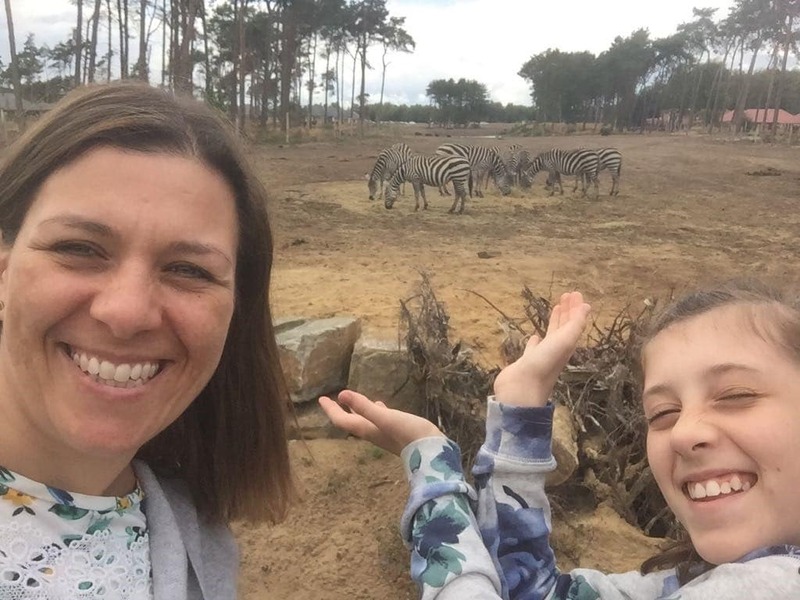 Another perk about staying in a bungalow at Beekse Bergen is you get free unlimited access to not only the safari park and the Speelland play zone but also to several other local attractions including some toddler friendly zoos. Free entrance to the safari park alone is a massive saving compared to if you were just visiting for the day. The “Back2School, Decibel” techno music festival: 16-18th August 2019. There is likely to be noise in the few days running up to these festivals during set up. Beekse Bergen offers a selection of 3 bedroom 1 bathroom jungalows (bungalows, all jungle themed!) You can choose from giraffe, zebra or leopard themed and they have the stamp of Africa on them inside and out. 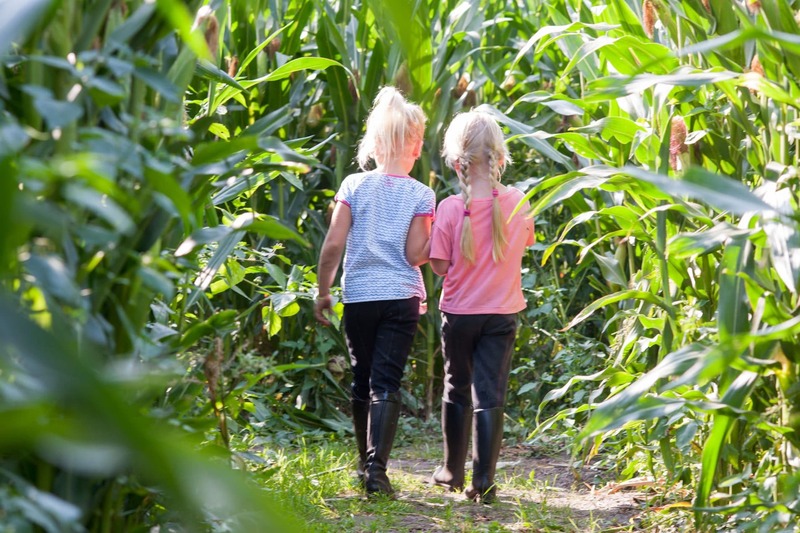 You can also book a special children’s themed jungalow which have the added benefits of having an enclosed garden area, a play pen and high chair and free use of a wooden cart to pull your little ones around in all day! Free wifi is provided in all Beekse Bergen bungalows. Jungalows have ample seating areas and floor space to play inside and as they are detached units they have plenty of outdoor space around them to play too. 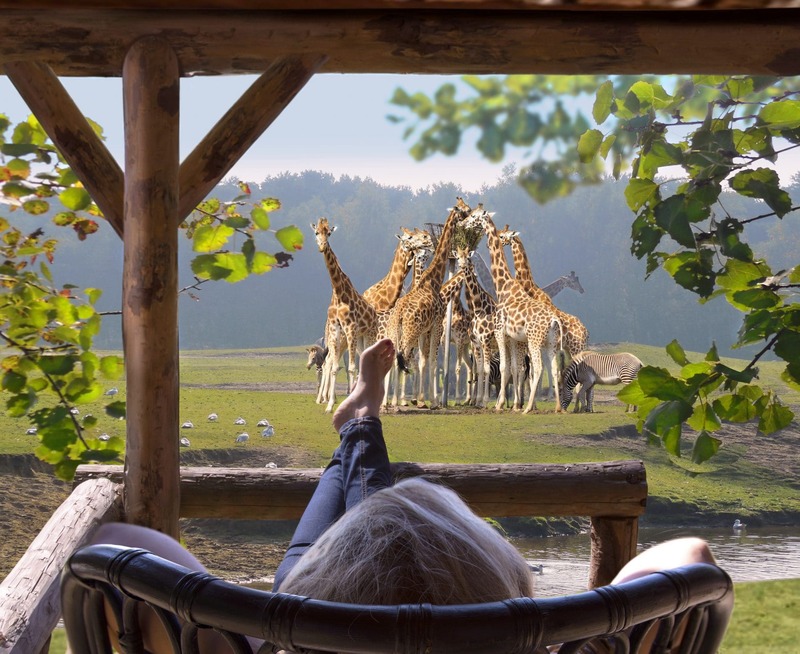 If being in a Jungalow isn’t close enough to the animals for you then you can also choose to stay in one of the exclusive lodges on the brand new luxury safari resort, located on the actual safari park! (Exclusive to safari resort guests is also a brand new pool and children’s water playground, a luxury restaurant, bar and children’s activities with the park ranger!) The lodges are all 3 bedroom and 2 bathroom and there are also kids lodges which look out onto the African Savannah. You can’t really get any closer to the giraffes and zebras than that!! Kids lodges have carts and games as well as additional safety features. Safari lodges come with free wifi and free attractions pass. 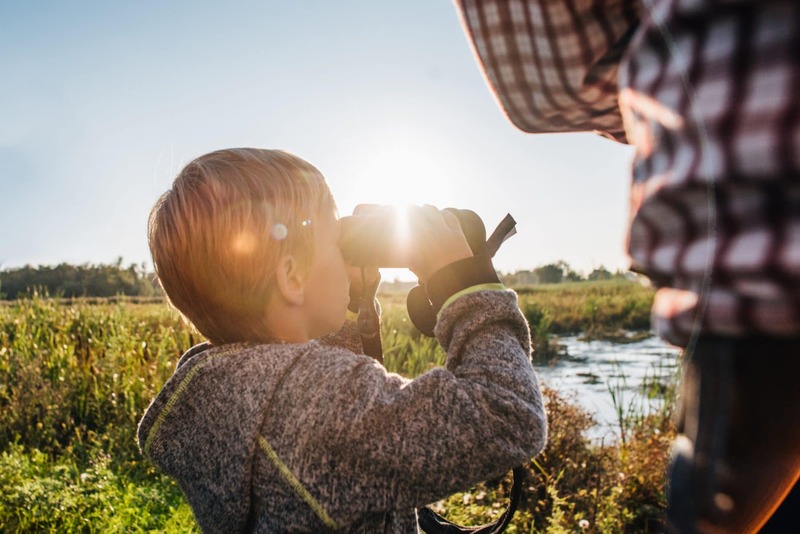 Eurocamp offers a selection of 2 and 3 bedroom holiday homes (sleeping up to 8) and 2 bedroom safari tents (sleeping up to 6) which are located in their own area on the main holiday park. Available on this holiday park are Eurocamp’s newest range of holiday homes: the Avants and the Azures. The Eurocamp holiday homes have their own wooden veranda and the rooms are all on one level, making it super safe for little ones. 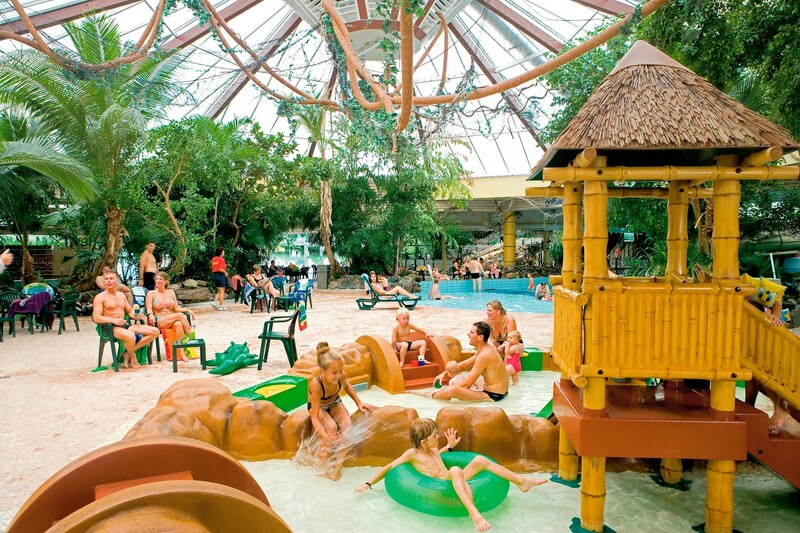 Eurocamp guests staying 3 nights or longer get a free attractions pass. All accommodation on this holiday park is well spread out with plenty of space to play! Great place. We have a kiddies jungalow. 3 bedrooms and shower room. Kitchen with hob, dishwasher and a microwave. Lovely safe environment. Free kids entertainment at the Afrika club. 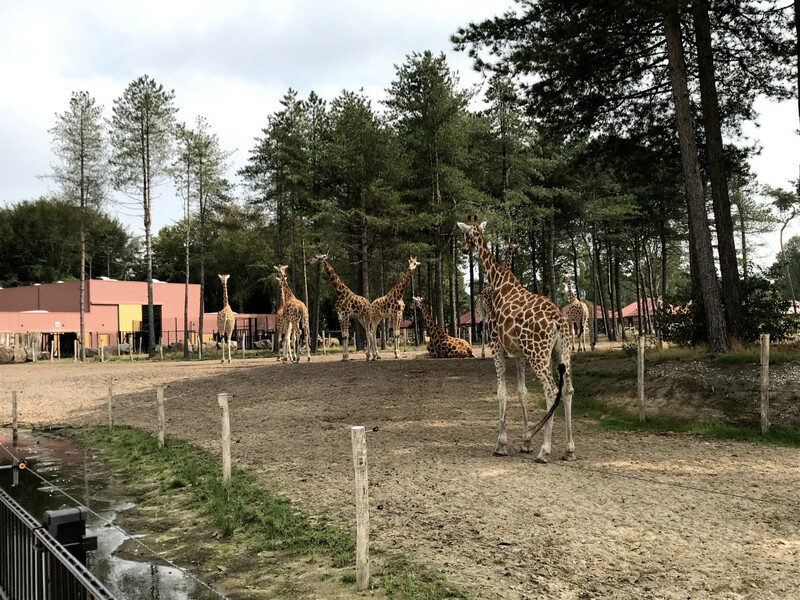 Have so far been to the safari park, Speelland (beach type place with water slides, pedalos, bouncy castles etc) kiddie zoo near Eindhoven. All included in the price of the stay. 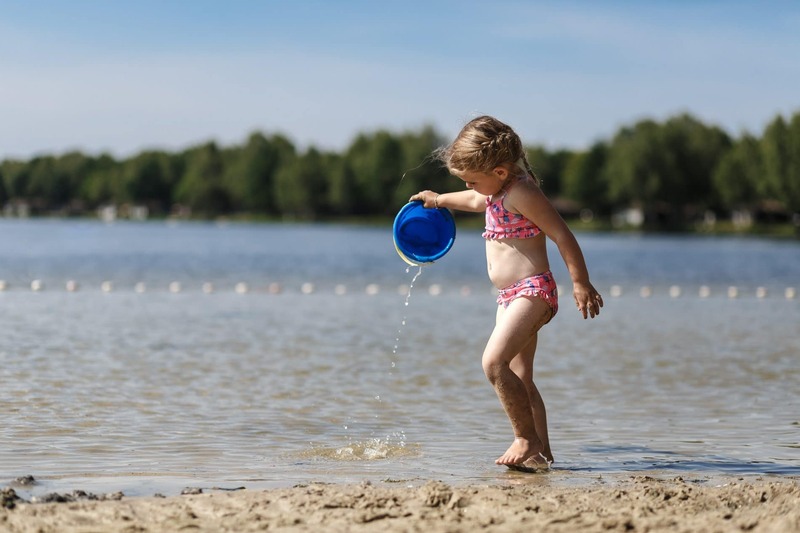 Lovely beaches by Afrika club for kids to splash about in Lake victoriameer. View from our jungalow is amazing. All of Beekse Bergen’s accommodation is on one level so you don’t have to worry about stairs. If you choose a children’s Jungalow or Safari Lodge you get the added features of games and toys as well as being fenced off outside. The cupboard doors also all have safety catches. 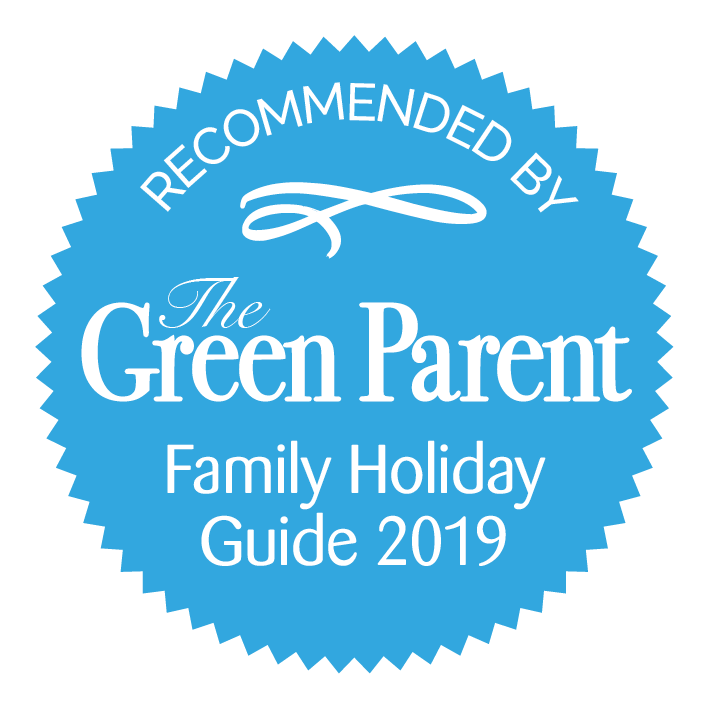 Cots and highchairs can be provided in all accommodations (there is a small charge for a highchair unless you book a kids’ jungalow or kids’ lodge). With Eurocamp you can prebook the following baby and toddler equipment for free: travel cot, high chair, baby bath, potty, bed rail, changing mat. 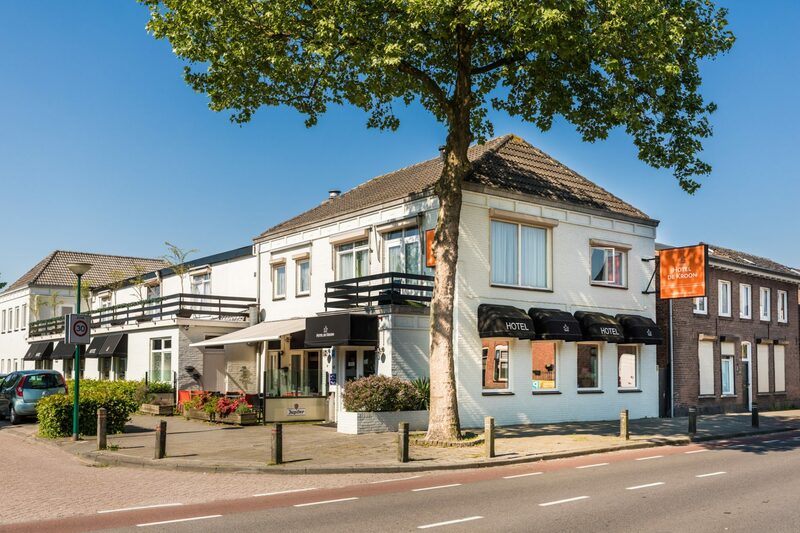 There are some lovely towns on your doorstep: Tilburg and Hilvarenbeek are both about a 15 minute drive from the park and have a selection of shops and cafes and restaurants. Explore the Esbeek woods just 5 minutes drive away. Further afield you can visit the city of Eindhoven which is 30km away (a 30 minute drive) and you are also only a 10 minute drive over into Belgium. 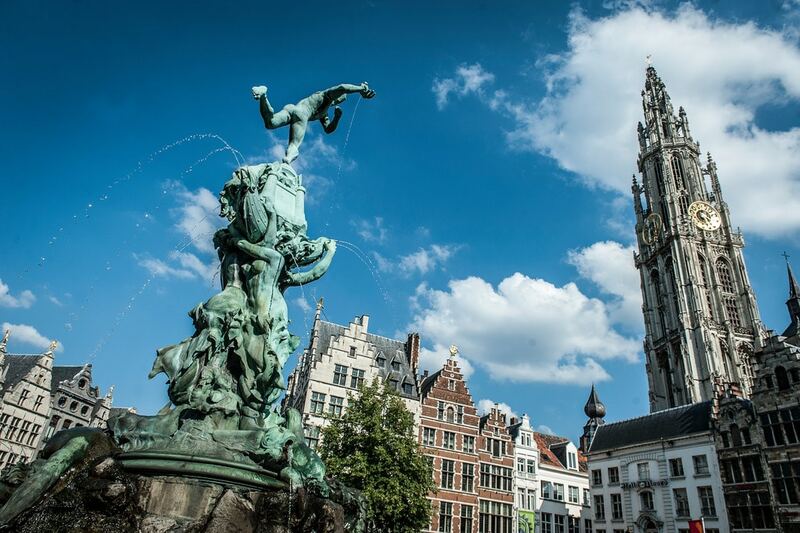 The historical city of Antwerp is only a 1 hour drive away from Beekse Bergen. 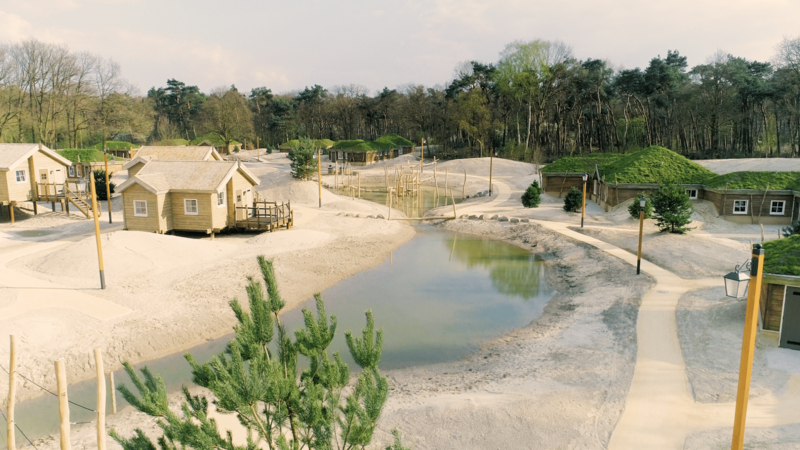 Staying on Beekse Bergen also entitles you to free access to a number of local attractions including the Dierendijk Zoo, 40 minutes drive away and Zoopark Overloon which is just over an hour away towards the German border. 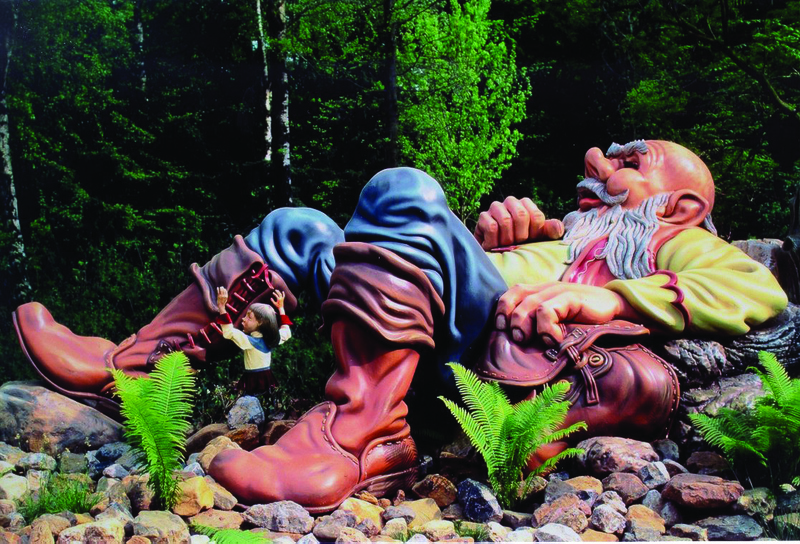 Probably the highlight of this region in terms of attractions is the famous fairytale theme park of Efteling which is only a 20 minute drive from Beekse Bergen. This is a world of wonder and magic for young children! Free access to safari park next door! Just over 1 hour (110km) from the Rotterdam ferry ports. An hour and 15 minutes (136km) from Amsterdam Schipol airport. An hour and 15 minutes (121km) from Brussels airport. 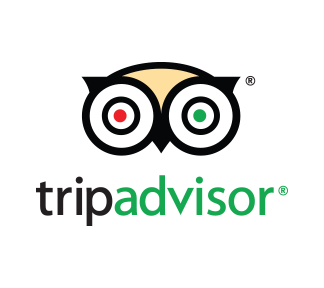 25 minutes (27km) from Eindhoven Airport.